If you are fan of civil engineering then this place is a must visit for you. Kanoh is a small village which lies between Kandaghat and Kathleeghat on the toy train route between Kalka and Shimla. Not much happens at this sleepy village but is home a beautiful spectacle, an engineering feat and breath taking view. Also known as the Arch Gallery Bridge No. 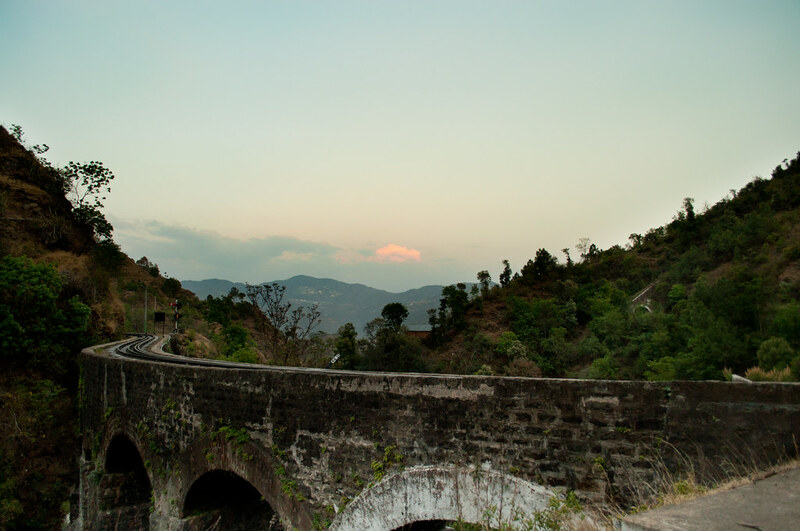 493, is a series of arches built one on top of another and is the highest arch bridge of the Indian railways. There are only two ways to get here. One is to take the train to this station the other is to trek to this place. The village is not connected by roads and there are no places to stay near the village. If you wish to visit the place take a train to the place spend a couple of hours and catch the next train out. Alternatively you can trek to and from the station, or trek one way. It does require you to be very fit to trek the journey. Do make that a consideration before you set off on foot. Toy train itself is really amazing. It trek and regular running is also a great example of engineering. India has a variety of places where you can spend your holidays. Himachal Pradesh is the best place for snow lovers to visit in the winters, where you can also enjoy exciting adventure sports. Nepal tourism is full of amazing places and thus, one of the most famous tourist destinations in India. The most amazing thing about Himachal is the snowfall.